If you are thinking about using the power of video in your next small business campaign but are unsure of how to start, this article will be right up your street. 2014 is supposed to be the year that content marketing embraces visual strategies and they don’t come more visual than YouTube. Before you dismiss this idea as a little ‘out there’, you may be surprised to learn that thousands of small to medium businesses are already doing just that, and with some awesome results!So if you’d like to get a slice of that action, please take the time to read about the best way to use YouTube for your next marketing campaign. Instead of just shooting a few clips and uploading them, why not think about the mechanics behind your campaign strategy? Look at the keywords that your rivals are using and take a leaf out of their book. Keywords are vital, even when your main line of action is all about the visual aspect. We would all love to be behind a video clip that went viral overnight, but the truth is that most of these are freaky accidents. But instead of playing that game, why not ensure that each of your videos is packed with engaging and interesting content. Forget about the gimmicks and instead you need to focus on compelling and helpful videos that will meet your audience’s needs. And ask yourself whether or not you could really deal with an extra 3 million customers right now? We’re back to keywords now and you should be aiming to get these into your YouTube video clips. Whilst that may seem like a little difficult to achieve, it really is not that hard. Include them in your title and don’t stop there. Use the description to add a few more in and you can also use the tags and narrative to complete the set. These are a big part of any content marketing campaign strategy and if you haven’t got the measure of what this means, you’ll need to catch on pretty soon. For example, if you run a portable storage business and you want new customers, you should ask the viewers to come visit your website by way of a clickable link. A successful video can drive just as much meaningful traffic as a PPC campaign can do, and for a fraction of the cost. Once you have shot and uploaded your video clip to YouTube, why not share it with your social media platforms? This will ensure that you get a lot of views, but can also drive traffic to your social media business platforms. Ensure that the link works both ways and you can encourage your social media followers to check out your YouTube marketing videos as well. 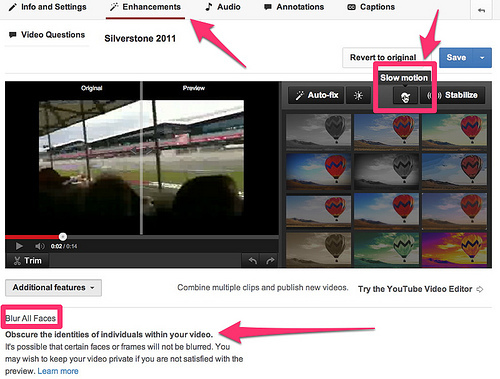 You should also ensure that you try your video on Google+ because that platform is going to rocket in 2014. We hope that you have decided to try YouTube as your next marketing campaign strategy and we also hope that it works for your business in an awesome way. Today’s featured writer, Nancy Baker, is a freelance blogger, who often writes for Key Storage which offers an array of self storage facilities in Toronto. She likes to practice yoga to stay healthy and fit.